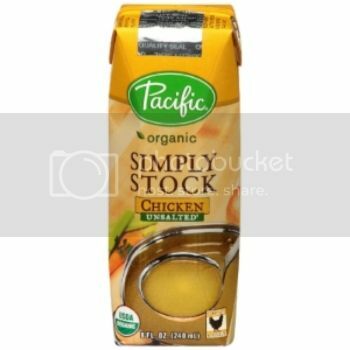 Pacific Foods Chicken Stock. I like using chicken stock in cooking because it contains less or no salt than broth, leaving you in more control of the seasoning. Chicken stock can be used in stuffing, gravy, and risotto, etc. 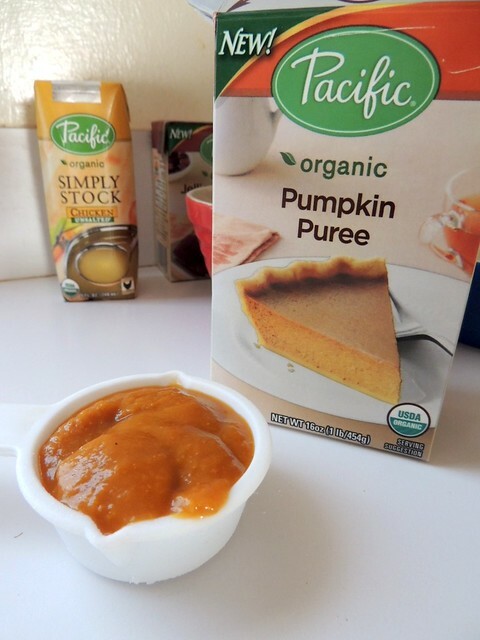 Pacific Foods Pumpkin Puree. 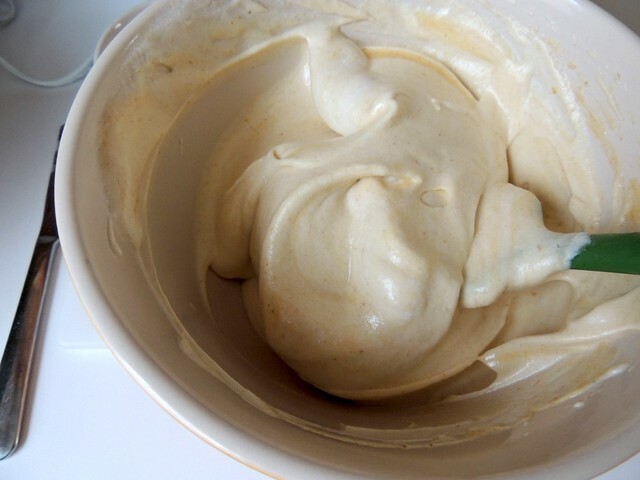 The quality of the puree seemed a little thinner compared to the thicker canned puree, and it had more liquid. The taste was fresher. I'm using this today for the pumpkin souffles, though obviously it can be used for pie and other recipes. 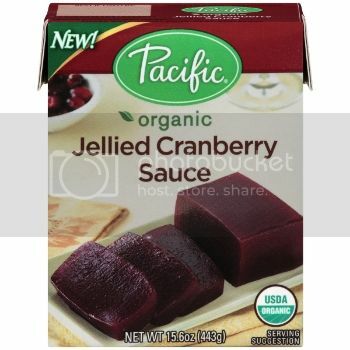 Pacific Foods Cranberry Sauce. I haven't tried this yet. It reminds me of my older brother since we always serve a can of cranberry sauce for him at holiday meals. He loves the texture and taste. Besides as a condiment, I like using this as a spread for breads, or maybe even cinnamon rolls! Here, you can see what the consistency of the pumpkin looks like. It really does remind me of fresh pumpkin puree. 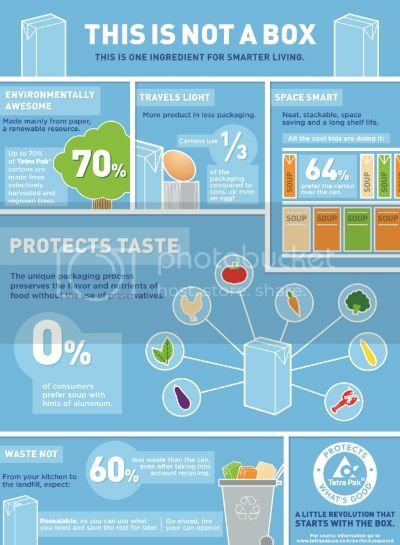 The container is easy to open, but there is no good way to store it once opened. The ingredients have been assembled. 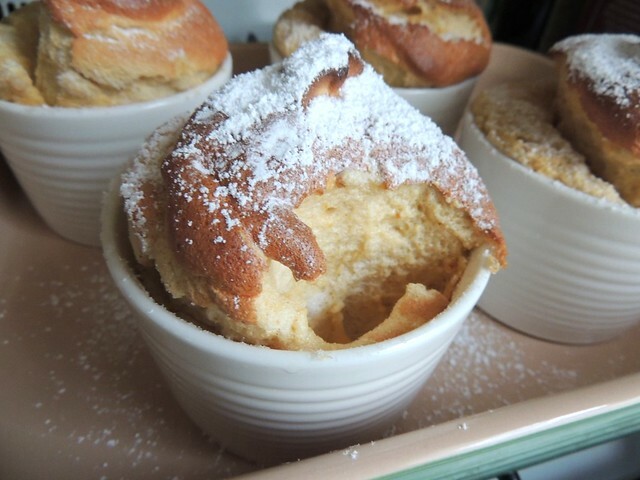 Since this is my first try at a souffle, I didn't want to be left scrambling for ingredients. First, though, you should prep the baking dishes by buttering four 8-inch ramekins and coating in granulated sugar. Place in a large baking dish and set aside. I halved a recipe from Epicurious. The method to make these souffles consists of a custard-like base, which is milk whisked with corn starch, a little sugar, and spices. 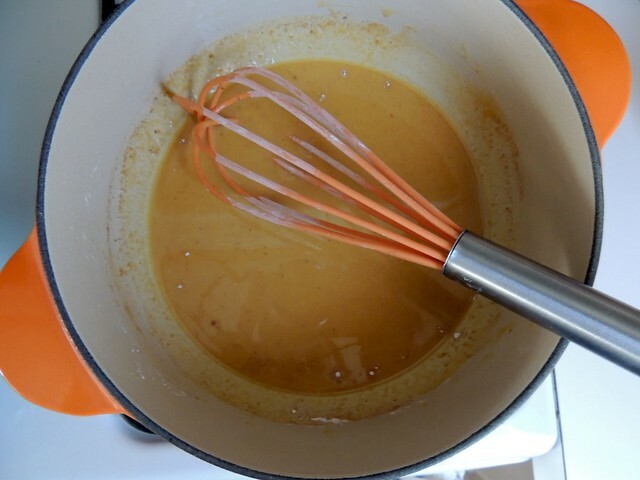 After it's cooked, pumpkin puree is whisked in. In my stupidity, I didn't quite get that and I added the puree from the very beginning. Although this mistake didn't ruin the souffles, I would advise you to follow the recipe according to the directions and not my oversight. For this particular pumpkin puree, my error worked out in my favor as it thickened up the moisture from the pumpkin. 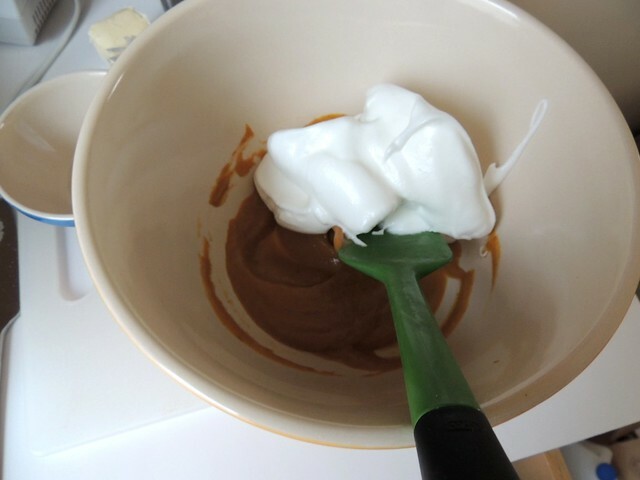 Once the custard has cooled to room temperature, you proceed with the recipe by whipping up a meringue, which is folded into the pumpkin custard. I think I did a pretty decent job, though I need to look up how thoroughly a souffle batter should be folded. Mine had just a few streaks of custard throughout the bottom, and I didn't want to go any further to prevent the meringue from deflating. The mixture looks very light, but I assure you it's still flavorful. 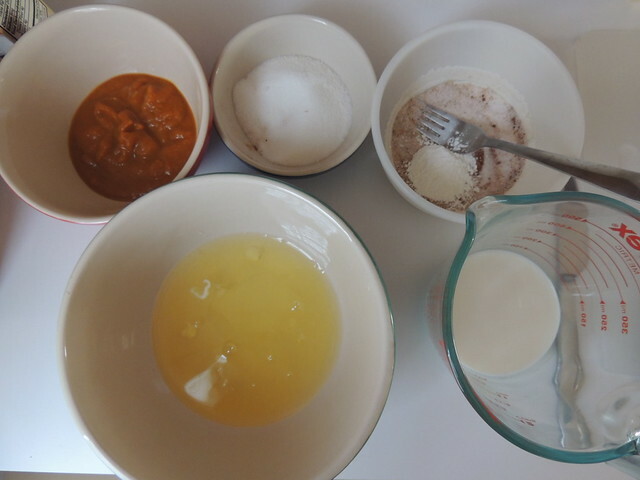 Divide mixture between prepared ramekins. 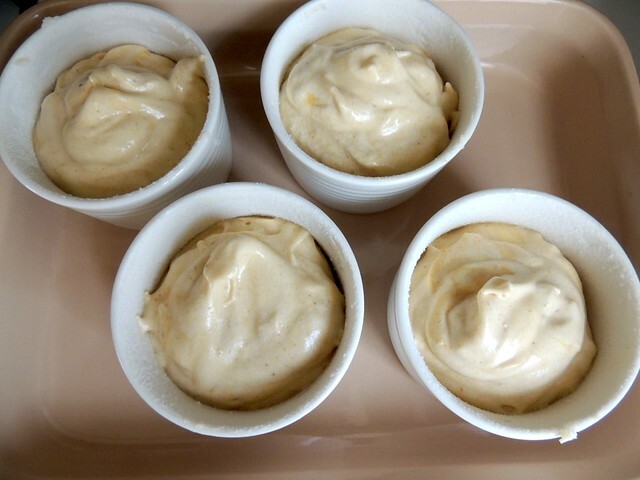 The original recipe called for 6-ounce ramekins, though it seems to me that the smaller size ramekins would have been too small for the amount of batter. Maybe I'll smooth the tops next time. Mine rose quite dramatically! Although they didn't rise very symmetrically, and that might have been because the ramekin dishes weren't properly greased and dusted. In any case, they tasted delicious on their own with just a light dusting of confectioners' sugar. The sides were cooked while the centers remained softer. 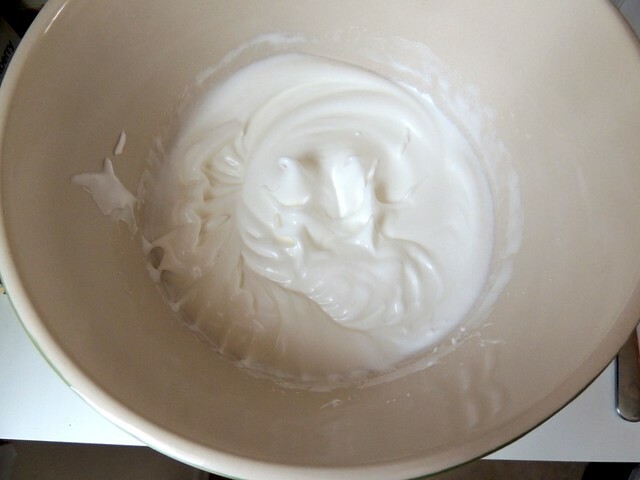 There were a few visible streaks of egg white in the center, which is probably my folding error . Again, I'm not quite sure how a proper souffle should be in consistency, though from what I remember of Master Chef, I'm on the right track! 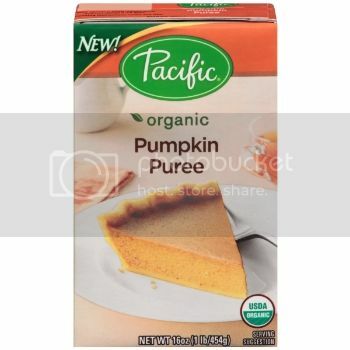 I was pleased with the quality of Pacific Foods Pumpkin Puree. Since there is so much pumpkin left, I might make more souffles. It's not over until you run out of pumpkin! And I still have a sugar pumpkin that I've reserved for a pie. 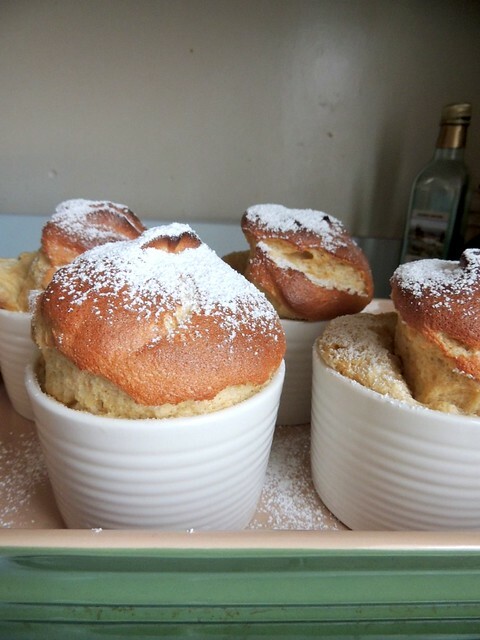 Souffles scare me a bit but you make them look totally doable!! Those look DELICIOUS! 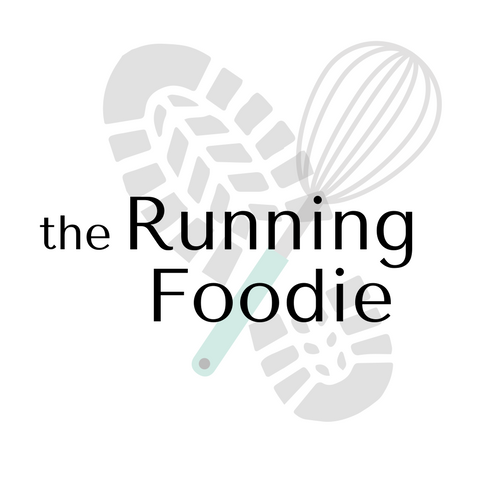 I am going to have to try this...yum!